Who could forget the loveable classic, Archie! 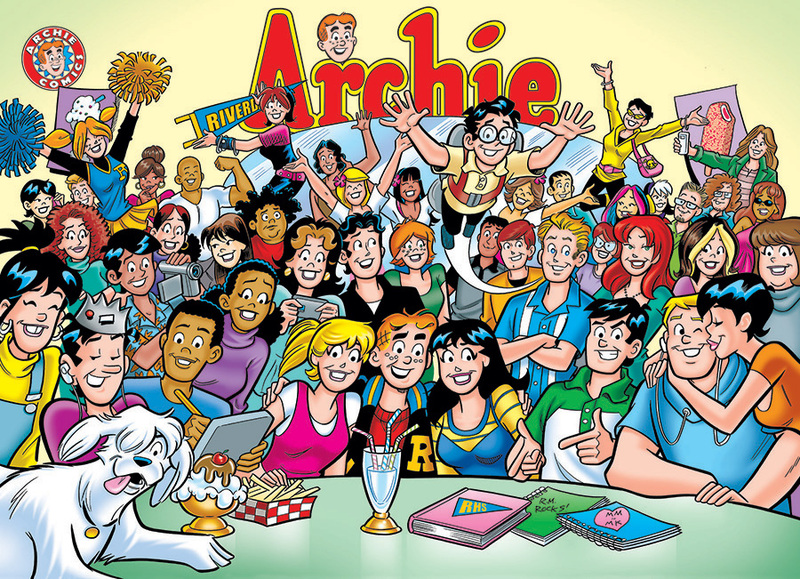 And now The Gang At Pop's can be celebrated in a 1000 piece jigsaw to bring back those nostalgic memories of Archie, Betty, Veronica and the whole gang, including Jughead's faithful dog, Hot Dog! Item # 53001 Weight 1.61 lbs.